Infinium Global Research offers syndicate and customized solutions for the clients operating in petrochemicals, specialty chemicals, consumer chemicals, polymers, and basic inorganics! A recent report published by Infinium Global Research on polyisobutylene market provides in depth analysis of segments and sub-segments in global as well as regional polyisobutylene market. The report is a comprehensive presentation of trends, forecast and dollar values of global polyisobutylene market. According to report the global polyisobutylene market is projected to grow at a CAGR 4.6% over the forecast period of 2018-2024. An upcoming report Infinium Global Research on titanium dioxide market provides an in-depth analysis of segments and sub-segments in global as well as regional titanium dioxide market. The report is a comprehensive presentation of trends, forecast and dollar values of the global titanium dioxide market. According to report the global titanium dioxide market is projected to grow at a healthy CAGR over the forecast period of 2018-2024. A recent report published by Infinium Global Research on gun powder market provides an in-depth analysis of segments and sub-segments in global as well as regional gun powder market. The report is a comprehensive presentation of trends, forecast and dollar values of global gun powder market. According to the report the global gun powder market is projected to grow with the help of healthy CAGR over the forecast period of 2018-2024. A recent report published by Infinium Global Research on marine lubricants market provides in-depth analysis of segments and sub-segments in global as well as regional marine lubricants market. The report is a comprehensive presentation of trends, forecast and dollar values of global marine lubricants market. According to the report the global marine lubricants market is projected to grow at a CAGR of 2% over the forecast period of 2018-2024. A recent report published by Infinium Global Research on precast concrete construction market provides an in-depth analysis of segments and sub-segments in global as well as regional precast concrete construction market. The report is a comprehensive presentation of trends, forecast and dollar values of the global precast concrete construction market. According to the report the global precast concrete construction market is projected to grow at a CAGR of 5.2% over the forecast period of 2018-2024. A recent report published by Infinium Global Research on artificial turf market provides in-depth analysis of segments and sub-segments in global as well as regional artificial turf market. The report is a comprehensive presentation of trends, forecast and dollar values of global artificial turf market. According to report, the global artificial turf market is projected to grow at a CAGR of 12.5% over the forecast period of 2018-2024. A recent report published by Infinium Global Research on acetone market provides in-depth analysis of segments and sub-segments in global as well as regional acetone market. The report is a comprehensive presentation of trends, forecast and dollar values of global acetone market. According to the report, the global acetone market is projected to grow at a CAGR of 3.4% over the forecast period of 2018-2024. A recent report published by Infinium Global Research on ethoxylates market provides in-depth analysis of segments and sub-segments in global as well as regional ethoxylates market. The report is a comprehensive presentation of trends, forecast and dollar values of global ethoxylates market. 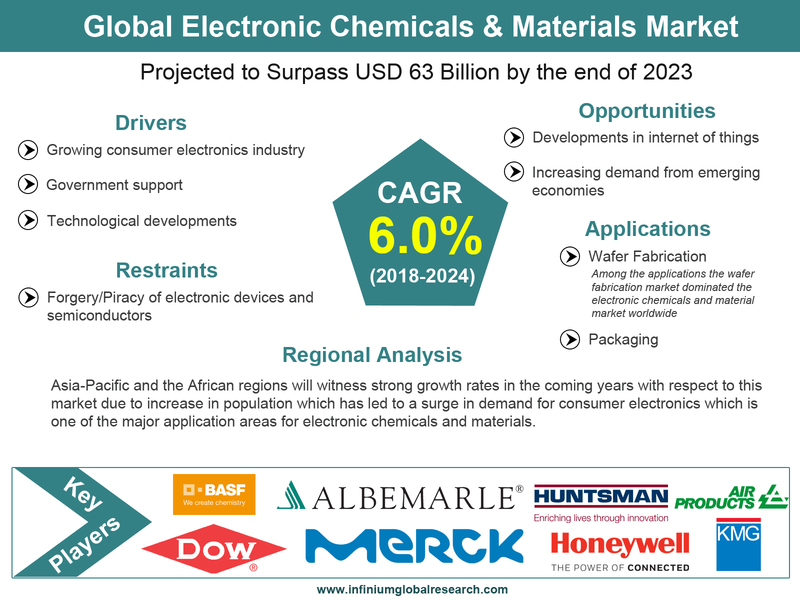 According to the report the global ethoxylates market is projected to grow at a CAGR of 3.5% over the forecast period of 2018-2024. A recent report published by Infinium Global Research on fluorochemicals market provides in depth analysis of segments and sub-segments in global as well as regional fluorochemicals market. The report is a comprehensive presentation of trends, forecast and dollar values of global fluorochemicals market. According to report the global fluorochemicals market is projected to grow at a CAGR of 5.5% over the forecast period of 2018-2024. A recent report published by Infinium Global Research on hydrophobic coatings market provides in depth analysis of segments and sub-segments in global as well as regional hydrophobic coatings market. The report is a comprehensive presentation of trends, forecast and dollar values of global hydrophobic coatings market. According to report the global hydrophobic coatings market is projected to grow at a CAGR of 5.8% over the forecast period of 2018-2024. A recent report published by Infinium Global Research on benzene market provides in depth analysis of segments and sub-segments in global as well as regional benzene market. The report is a comprehensive presentation of trends, forecast and dollar values of global benzene market. According to report the global benzene market is projected to grow at a CAGR of 4.5% over the forecast period of 2018-2024. A recent report published by Infinium Global Research on liquid nitrogen market provides in depth analysis of segments and sub-segments in global as well as regional liquid nitrogen market. The report is a comprehensive presentation of trends, forecast and dollar values of global liquid nitrogen market. According to report the global liquid nitrogen market is projected to grow at a CAGR of 5% over the forecast period of 2018-2024. A recent report published by Infinium Global Research on nitric acid provides in depth analysis of segments and sub-segments in global as well as regional nitric acid. The report is a comprehensive presentation of trends, forecast and dollar values of global nitric acid. According to report the global nitric acid is projected to grow at a CAGR of 1.6% over the forecast period of 2018-2024. A recent report published by Infinium Global Research on potassium citrate market provides in depth analysis of segments and sub-segments in global as well as regional potassium citrate market. The report is a comprehensive presentation of trends, forecast and dollar values of global potassium citrate market. According to report the global potassium citrate market is projected to grow at a CAGR of 3.3% over the forecast period of 2018-2024. A recent report published by Infinium Global Research on zeolites market provides in depth analysis of segments and sub-segments in global as well as regional zeolites market. The report is a comprehensive presentation of trends, forecast and dollar values of global zeolites market. According to report the global zeolites market is projected to grow at a CAGR of 3.4% over the forecast period of 2018-2024. A recent report published by Infinium Global Research on anti-corrosion market provides in-depth analysis of segments and sub-segments in global as well as regional anti-corrosion market. The report is a comprehensive presentation of trends, forecast and dollar values of global anti-corrosion market. According to the report, the global anti-corrosion market is projected to grow at a CAGR of 4.7% over the forecast period of 2018-2024. A recent report published by Infinium Global Research on bioethanol market provides in-depth analysis of segments and sub-segments in global as well as regional bioethanol market. The report is a comprehensive presentation of trends, forecast and dollar values of global bioethanol market. According to report, the global bioethanol market is projected to grow at a CAGR of 4.2% over the forecast period of 2018-2024. A recent report published by Infinium Global Research on colorants market provides in depth analysis of segments and sub-segments in global as well as regional colorants market. The report is a comprehensive presentation of trends, forecast and dollar values of global colorants market. According to report the global colorants market is projected to grow at a CAGR of 5% over the forecast period of 2018-2024. A recent report published by Infinium Global Research on graphite market provides in depth analysis of segments and sub-segments in global as well as regional graphite market. The report is a comprehensive presentation of trends, forecast and dollar values of global graphite market. According to report the global graphite market is projected to grow at a CAGR of 6.5% over the forecast period of 2018-2024. A recent report published by Infinium Global Research on methanol market provides in depth analysis of segments and sub-segments in global as well as regional methanol market. The report is a comprehensive presentation of trends, forecast and dollar values of the global methanol market. According to report the global methanol market is projected to grow at a CAGR of 11.9% over the forecast period of 2018-2024. A recent report published by Infinium Global Research on organic fertilizers market provides in-depth analysis of segments and sub-segments in global as well as regional organic fertilizers market. The report is a comprehensive presentation of trends, forecast and dollar values of global organic fertilizers market. According to the report the global organic fertilizers market is projected to grow at a CAGR of 7.5% over the forecast period of 2018-2024. 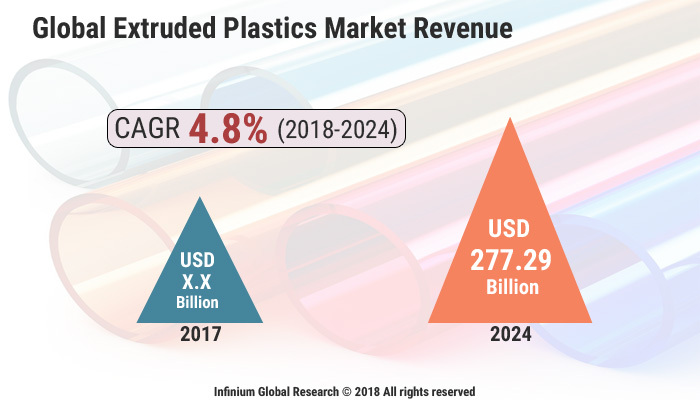 A recent report published by Infinium Global Research on smart polymers market provides in-depth analysis of segments and sub-segments in global as well as regional smart polymers market. The report is a comprehensive presentation of trends, forecast and dollar values of global smart polymers market. 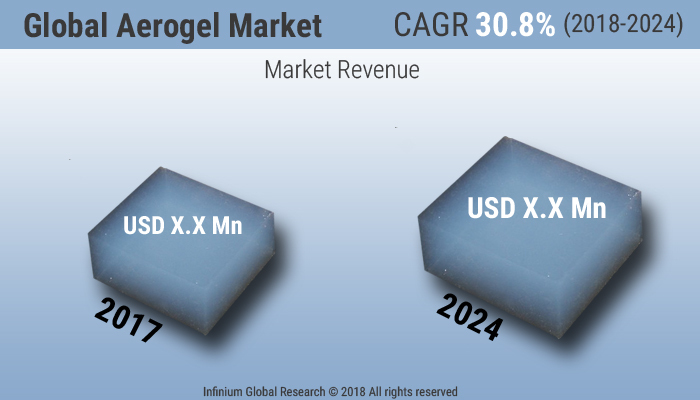 According to the report the global smart polymers market is projected to grow at a CAGR of 21.8% over the forecast period of 2018-2024. A recent report published by Infinium Global Research on stearic acid market provides in depth analysis of segments and sub-segments in global as well as regional stearic acid market. The report is a comprehensive presentation of trends, forecast and dollar values of global stearic acid market. According to report the global stearic acid market is projected to grow at a CAGR of 4.1% over the forecast period of 2018-2024. A recent report published by Infinium Global Research on thermal printing market provides in depth analysis of segments and sub-segments in global as well as regional thermal printing market. The report is a comprehensive presentation of trends, forecast and dollar values of global thermal printing market. According to report the global thermal printing market is projected to grow at a CAGR of 4.5% over the forecast period of 2018-2024. A recent report published by Infinium Global Research on transparent ceramics market provides in depth analysis of segments and sub-segments in global as well as regional transparent ceramics market. The report is a comprehensive presentation of trends, forecast and dollar values of global transparent ceramics market. According to report the global transparent ceramics market is projected to grow at a CAGR of 21.3% over the forecast period of 2018-2024. A recent report published by Infinium Global Research on carbon nanotube market provides in-depth analysis of segments and sub-segments in global as well as regional carbon nanotube market. The study also highlights the impact of drivers, restraints and macro indicators on the global and regional carbon nanotube market over the short term as well as long term. The report is a comprehensive presentation of trends, forecast and dollar values of global carbon nanotube market. According to the report the global carbon nanotube market is projected to grow at a CAGR of 18.7% over the forecast period of 2018-2024. A recent report published by Infinium Global Research on chlorine market provides in-depth analysis of segments and sub-segments in global as well as regional chlorine market. The report is a comprehensive presentation of trends, forecast and dollar values of global chlorine market. According to the report, the global chlorine market is projected to grow at a CAGR of 6.5% over the forecast period of 2018-2024. 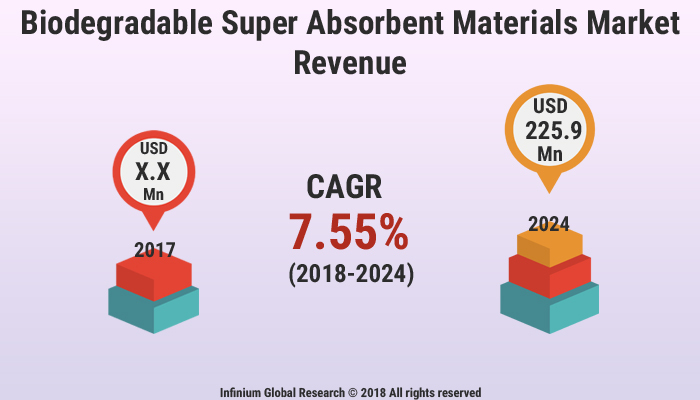 A recent report published by Infinium Global Research on conductive polymers market analysis provides in-depth analysis of segments and sub-segments in global as well as regional conductive polymers market analysis. The report is a comprehensive presentation of trends, forecast and dollar values of global conductive polymers market analysis. According to the report the global conductive polymers market analysis is projected to grow at a CAGR of 8% over the forecast period of 2018-2024. A recent report published by Infinium Global Research on perlite market provides in-depth analysis of segments and sub-segments in global as well as regional perlite market. The report is a comprehensive presentation of trends, forecast and dollar values of global perlite market. 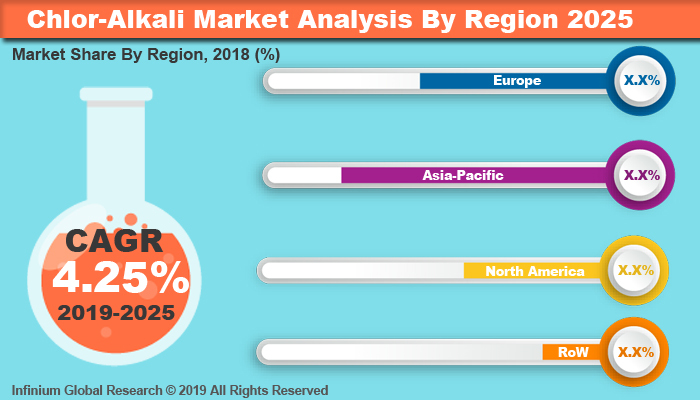 According to the report, the global perlite market is projected to grow at a CAGR of 7.2% over the forecast period of 2018-2024. A recent report published by Infinium Global Research on calcium hypochlorite market provides in depth analysis of segments and sub-segments in global as well as regional calcium hypochlorite market. The report is a comprehensive presentation of trends, forecast and dollar values of global calcium hypochlorite market. According to report the global calcium hypochlorite market is projected to grow at a CAGR of 3.4% over the forecast period of 2018-2024.